Buriram United F.C. Tao. Admiralty, Hong Kong. November 2014. 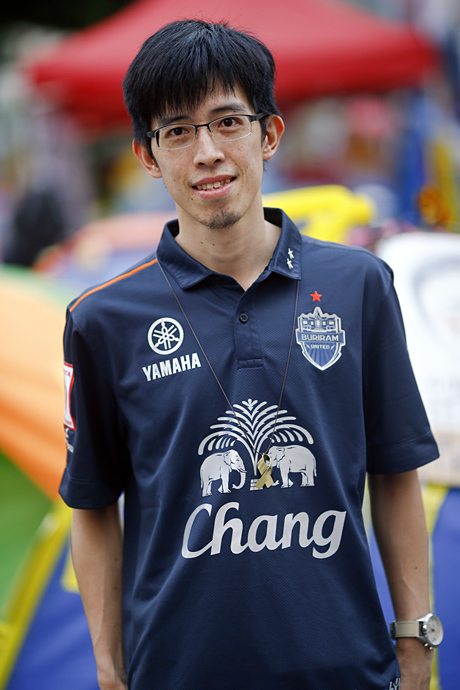 It could have been any other of over twenty original shirts from different countries he owns, but gods of coincidence decided it’s going to be a Buriram United’s dark blue Tao will wear that day, almost a year ago between protesters in Hong Kong’s Admiralty. The protest colours, yellow was the most dominant, exploded over central Hong Kong in October 2014 and I was practically colour blind after shooting millions of pictures every day. But two Chang elephants and that beautiful blue, my favourite of all Asian football colours I could not possibly miss. Besides sporting such a beautiful shirt and being Thailand’s champions several times, Buriram United F.C. is not the most loving sports club in the Land of Smiles. It’s one of those money-can-buy-you-all-but-not-really clubs that many people love to hate. Since it was bought by a local politician in 2009 who renamed it and moved to his hometown (original name PEA, colours purple/white), Buriram United is a powerhouse of Thai football. They have amazing new stadium, one of wonders of Buriram, a strong team and even stronger rivalry with Bangkok’s Muangthong United for which Robbie the God Fowler, pushing his wasted body to the limits, use to play. The day I met Tao and his beautiful family, Buriram United beat Police United 2-1 to secure another league title. A year after they remain atop the Thai Premier league together with Muangthong United, 56 points each. At the same time in Hong Kong, few hundreds pro-democracy protesters with yellow umbrellas are taking streets of Admiralty again to mark the anniversary of protest – is Tao there and what shirt he wears? 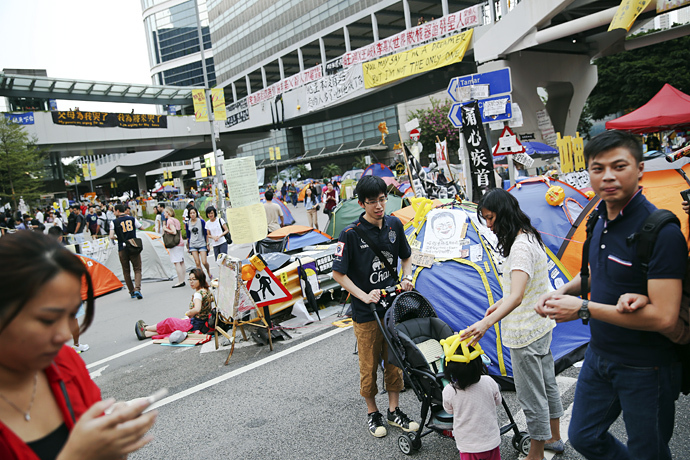 Hong Kong, the protest site, 2014.